I love the crock pot. I use it quite a bit on Soup Sundays. This is no exception. I threw nearly all the ingredients for this chili into the crock pot together and let it cook for several hours. That’s pretty much it. Now, for the name. This chili is a jalapeño popper chili. Wondering how this is possible? Well a jalapeño popper is traditionally a jalapeño stuffed with cream cheese, breaded, and fried. Now, this chili is a bit traditional in that it has beans, peppers, tomatoes, onion, and spices. There is also jalapeños in this chili, hence the jalapeño part of the title. For the popper part, I incorporated cream cheese into the chili. This brings in a nice coolness to a spicy chili. It also adds the popper part in the title. This may sound weird. 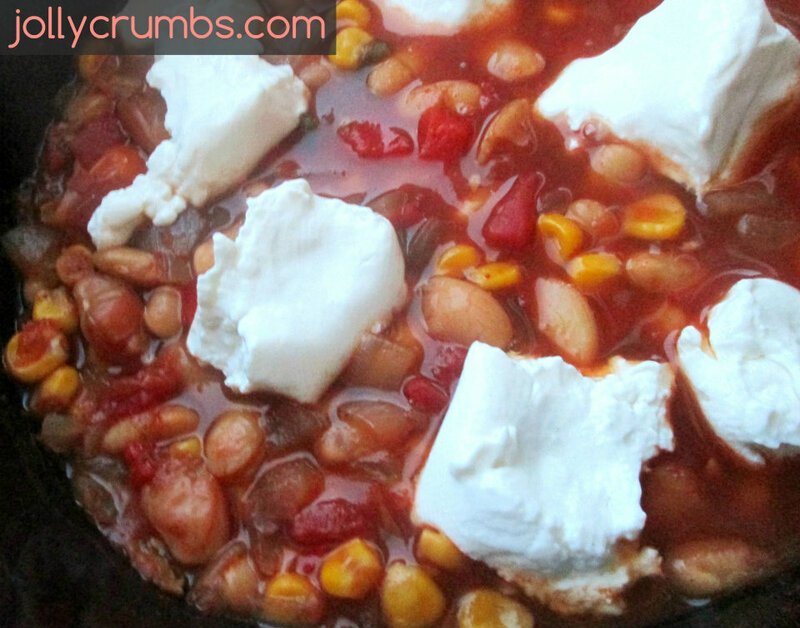 Cream cheese in this chili is absolutely delicious. I can’t recommend this chili enough. And if you fancy, I included some tips on how to incorporate chicken into this dish as well at the end of the recipe! This recipe is incredibly simple to follow. Once you prep your ingredients, add them all to the crock pot, except for the cream cheese. If you are going to use chicken, you will add that in as well. Set your crock pot on LOW for 7 to 9 hours. The beans should be fully cooked and plumped up. Once the chili is done, you have to decide if you like how thick it is. If you want your chili thicker, use an immersion blender to briefly pulse the chili a few times. Or take a couple cups of chili out and blend it in a regular blender. This is completely optional. Add the cream cheese and let melt for about 10 minutes. Stir it until it is completely melted in. Add salt to taste and serve. This chili is really flavorful. 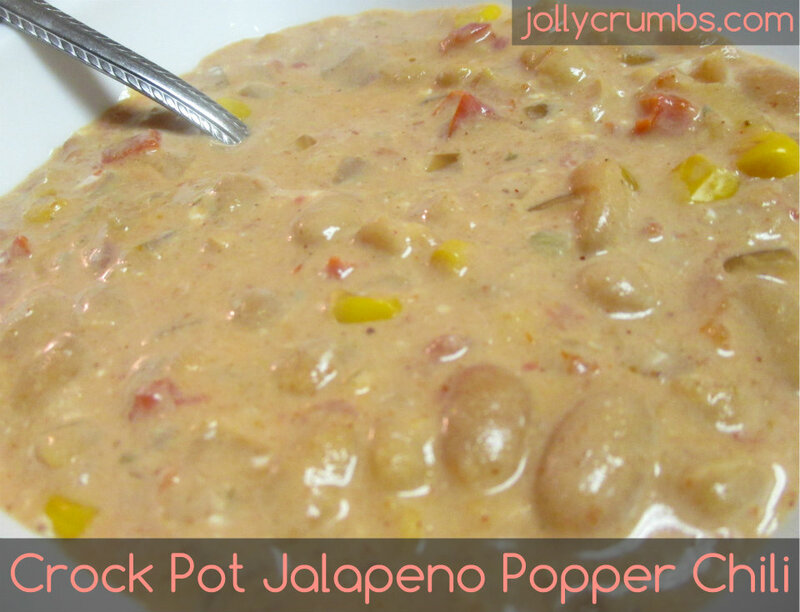 It has a spicy undertone, but the cream cheese really adds a lovely coolness to the chili. It also makes it creamy and adds a nice tang. This chili really does remind me of a jalapeño popper. I love the mixture of fresh and already prepared vegetables in this chili. It really makes it easy to prepare this chili in the morning and let it simmer all day long. And boy does it smell delicious while it’s cooking. Hard to beat hot chili on a cold Sunday. If you are a fan of chili and/or jalapeño poppers, you will really love this. Add all ingredients except the cream cheese to the crockpot. Cook on low for 7 to 9 hours. If you want your chili thicker (completely optional) – using an immersion blender, briefly pulse a few times to break up some of the beans and thicken the soup. Or take about 2 cups of the chili out and blend it in a countertop blender (leave the lid cracked so the steam doesn’t make your blender explode). Add the cream cheese and let melt for about 10 minutes. Stir until it is completely melted in and blended. Add salt to taste and serve. If you use half a pound of dried beans it will be a bit thinner and more soup-like. 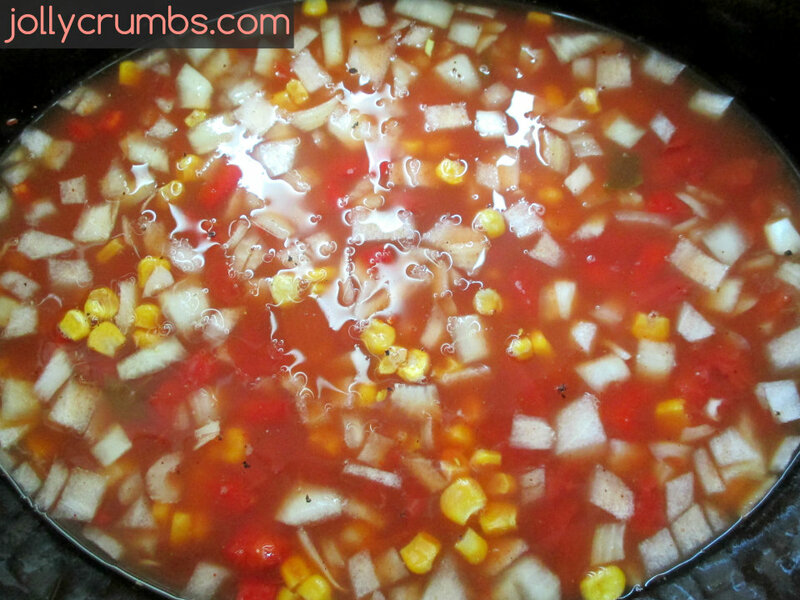 If you used the whole pound it will be much thicker and chili-like. So you can use either amount you like, just up the broth to 4 cups if you are using the full pound of beans. You can add in boneless, skinless chicken thighs to the crock pot along with everything else before cooking. When the 7 to 9 hours are up, shred the chicken using two forks. Then add in the cream cheese! Sprinkle in 1/2 pound bacon, cooked and crumbled, with the cream cheese if you would like!